The HMS St Albans at sea. Britain has announced plans to open new bases in the South China Sea and Caribbean CREDIT: LEE BLEASE/ROYAL NAVY. On Friday Russia condemned British plans for military bases in South East Asia and the Caribbean, and warned of retaliation if Russian interests or those of its allies were threatened. Defence Secretary Gavin Williamson told The Telegraph in an interview before the New Year that the UK would ramp up its military presence abroad after the Brexit and start to open its military bases at the most two strategic regions, mainly South Sea China and Caribbean respectively. 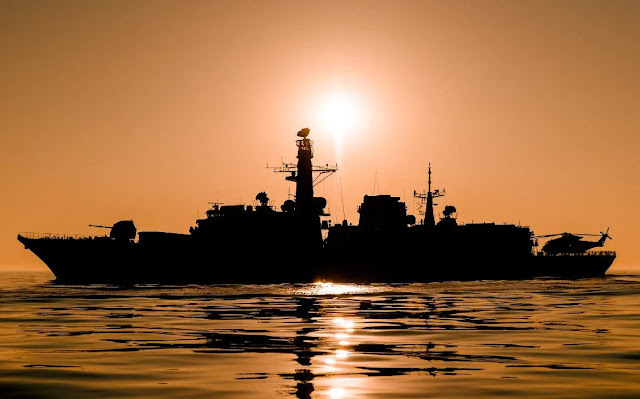 Britain is currently seeks a move to set up bases in Singapore or Brunei in the South China Sea include Montserrat or Guyana in the Caribbean. The Russian foreign ministry spokeswoman Maria Zakharova on Frıday told journalists that Mr Williamson's remarks were “destabilising" and would lead to the “further militarisation of British politics”. "Of course, Britain like any other country is independent when it comes to its military construction plans. But against the backdrop of overall rising military and political tensions in the world ... statements about the desire to build up its military presence in third countries are counter-productive, destabilising and possibly of a provocative nature," she said. "In the event of any measures that pose a threat to Russia's security or that of its allies our country reserves the right to take appropriate retaliatory measures." Mr Williamson argued that other countries wanted the UK to play a larger role on the world stage, and Brexit “is our moment to be that true global player once more”. He said Britain would turn its back on the 1968 “East of the Suez” strategy that saw it close bases in Malaysia, Singapore, the Perian Gulf and the Maldives. But Vladimir Putin has vociferously opposed the expansion of Nato and complained about the bases that members of the alliance have in other parts of the world. Meanwhile, Moscow has waged a military campaign to save Bashar Assad's regime in Syria and preserve its naval and air force bases there. Some politicians have called for Russian bases to be reopened in Cuba and Vietnam.